Leasing or Buying: Which Option Is Right for You? When you’re in the market for something new to drive, you have two major options. You can buy or lease a vehicle. While leasing is similar to buying a vehicle, there are some major differences. Before you head out to your favorite Toyota dealership, you should have a good idea of which option suits your needs the best. Knowing the pros and cons of both will help you determine which one would best serve your purpose. It’s hard to say which option is the best for you when it comes to choosing between leasing and buying a vehicle because it’s different for everyone. The best way to make a decision is to know the pros and cons of both. It’s also important to note that you can get a better leasing deal if you have good credit. Therefore, if it’s less than perfect, you may want to improve your credit score before visiting a Toyota dealership in Miami. 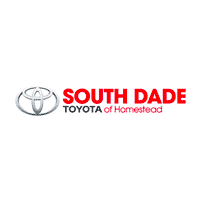 Although, here at South Dade Toyota you can receive Toyota lease offers and specials that will help you get the most for your money. Buying a new Toyota is a big step and a huge investment. Consider your options carefully and review your finances to determine your price range. Then decide what type of vehicle you’re interested in and go over the follow pros and cons of buying a new vehicle before going shopping. Going over the pros and cons of both leasing and buying will help you determine which option is best for you based on your personal situation. 0 comment(s) so far on Leasing or Buying: Which Option Is Right for You?